Originally this area in a converted barn was used for plants. 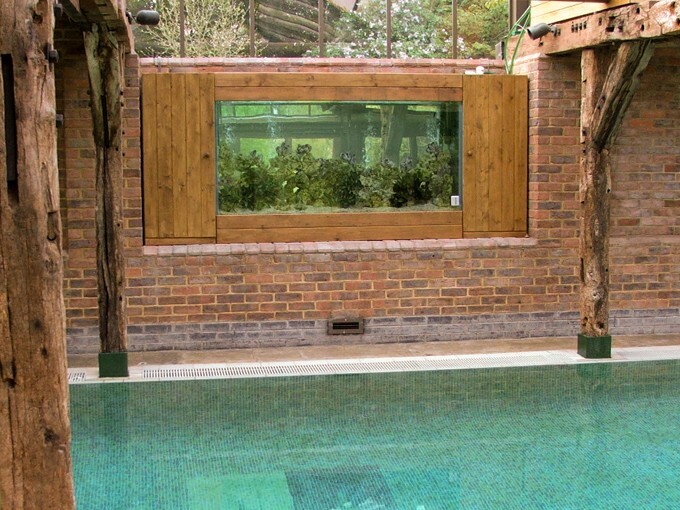 The bespoke aquarium was incorporated in order to help bring a tropical theme into the swimming pool area once it had been renovated. At the ambient temperature is a constant 29 degrees, we fitted a water cooler unit to this in wall aquarium to bring the aquarium water down to a more suitable 25 degrees and the fish have flourished.